Shown in Smooth Genuine Leather. 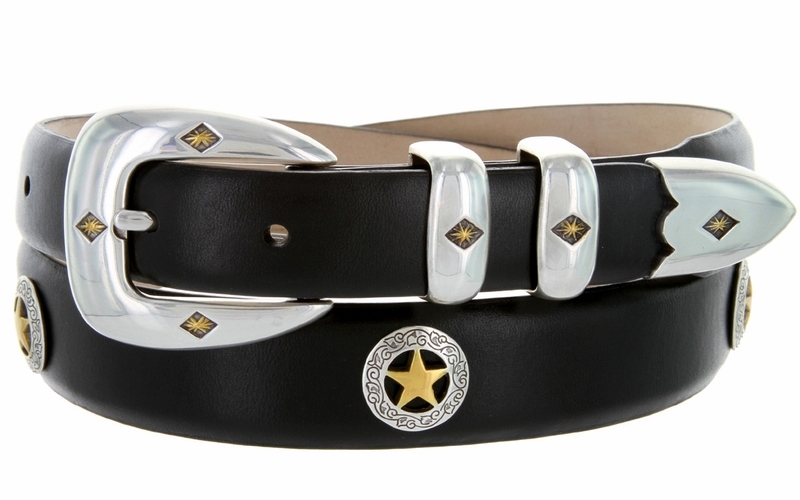 Sterling Silver Finish Buckle set with double loops is accented with Gold Diamonds and 5 engraved Gold Star Concho's . 1 1/8" wide tapering to 1" wide.